The reasons for this are speculative, but what’s for sure is that original market penetration strategies that put stakes in buying backlinks are now buried. 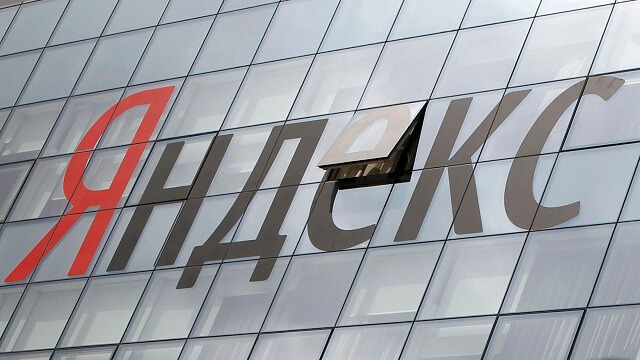 Yandex, a little like Russia itself, likes to shock people. Backlinks have long been an important part of ranking algorithms in many World’s search engines, including Google. Like Matt Cutts recently said, a search engine without backlink relevance is a mess, as they are still one of the best quality indicators of a website. But not for Yandex anymore. This Russia’s major search engine has long been abused by marketers founding their strategies on mass link purchases. Literally, companies that could afford to invest millions of rubles into backlinks, won the game and conquered the SERPs, leaving their weak competitors behind. Needless to say, this is not what Yandex intended to be. Now what? Leaning back towards what Yandex official claims to favor is definitely the way. So let’s dust ourselves off and blow the dust off the Yandex’s “Tips for Webmasters.” I’ve put down the verticals that are zeroed in on by Yandex, as officially announced (in Russian). If Russian SEO is a part of your international SEO strategy, read on. With Yandex Ignoring Backlinks, SEO’s Will Be Forced to Actually Read Tips for Webmasters. “Create a site with interesting and useful content or services. Advertising alone is not the reason why people come to your site,” says Yandex wisely. Russians love to invest in real estate. Actually, this kind of investment is always considered in the first place. Traditionally, property in the Czech Republic, Montenegro and Bulgaria are the most attractive, but newly also distant locations like the USA (Dallas, New York), Thailand and Dubai lure Russian investors. As for content, articles providing advice for Russian investors on where to invest, what to avoid, preferably extended with ROI calculators and best practices should find their way to the audience. Rather than blog posts, you should focus on online magazines that can be approached directly. You may find luck among investment portals, local directories with a resource center or business news websites. Russians are keen travellers and love to visit various destinations from domestic ones to very distant and exotic countries. The most trending are resorts along the Black Sea like Abkhazia and Crimea, but we can find Russian tourists in traditional resorts in Greece, Bulgaria, Spain and Turkey, but also Goa, Maldives, Egypt and other. One of the trending topics there is also traveling with children. There’s virtually nothing easier than approaching Russian travellers with a quality content. Russians love to read about travel destinations. Choose blog posts with rich image and video content, promote the content on popular social networks: Vkontakte, Facebook, YouTube. Home appliances trends on the rise are kitchen utensils and popular keyword searches indicate that Russian users are getting used to shop for home appliances online. The most popular brands appear to be Bosch, Miele and Siemens – apparently, it’s the German quality that most of the Russians are after. When you think of channels in connection with home appliances, you should think of female users in the first place. Approach them on discussion forums (household, culinary) and product review sites. You can also go for Yandex’s marketplace on market.yandex.ru. Among the most popular sub-categories for apparel are definitely BMW clothes. This highly functional ‘active lifestyle’ jackets and shirts earned massive popularity in Russia. But also searches for clothes for newborn kids, for pets and dolls are on the rise. Channels is not an issue here. From countless online lifestyle magazines, product sites, customer review sites, brand or community social pages and discussion forums to various How-to sites: How to take care of clothes, How to purchase abroad, Where to buy, How to wear and even How to make clothes by yourself. Health and beauty is an evergreen among Russian female users. There aren’t many categories that could be marketed entirely through quality content, but this one is definitely the case. Use social media (Facebook, Vkontakte) to distribute readable blog posts or magazine articles. When creating the communication strategy, you should not forget about a trending topic children’s health. Be active in discussions and offer topics like sports, dieting, nutrition, skin treatment, hair treatment and alike. As Yandex itself says “Think about users first and search engines later. Ask yourself if your site or its elements would still look the same if search engines did not exist,” Russian websites are about to make a span from made-for-Yandex websites to real user-oriented ones. Q: What website elements are specific in targeting Russian users? A: Russians aren’t that different from users in other countries, so basic recommendations like keeping the important info above the fold, using standard menus, logos on the left side and shopping cart on the right will work. A little specific is how you treat the Cyrillic alphabet which is rather sensitive to style adaptations. Be very careful about using correct fonts. I would not go further than “stronging” words either. Don’t forget that all website elements including titles should use the alphabet, except for URLs, which should be correctly transcribed into the Latin alphabet. As for website colors, for historical reasons, it is not recommended using large red banners or backgrounds. “Add links that may be useful and interesting for your visitors. Do not add them because you have been asked to,” Yandex recommends. Even though Yandex officially dropped backlinks from its algorithm, it definitely doesn’t imply they are off the game. Links are still important for users and a great source of inbound traffic. Therefore a good linkbuilding strategy will always be crucial when you want to target Russian users. Instead of backlink purchasing, we should think of something more valuable. Q: What linkbuilding strategies can fully replace backlink purchases in Russia? Linkbuilding in Russia doesn’t have to be about bribing websites with a high Yandex TIC. The strongest linkbuilding momentum is gained in a combination of research + partnerships + local directories. Developers or property owners are offered a variety of ways to approach them online. Use local directories which frequently show foreign listings, such as: realty.yandex.ru, realty.mail.ru, realty.rambler.ru or choister.ru, realsearch.ru and place your listing there. Linkbuilding for travel-related websites should include an activity on discussion forums and social media (forum.awd.ru, happytrip.ru/forum), social media (Vkontakte, Facebook) and directories like mahnem.ru, mir.travel, tourister.ru, travel.mail.ru and travel.rambler.ru). Discussion forum websites prevail in the home appliances linkbuilding strategy. Use community amd product review websites like forum.potrebitel.ru, holodilnik.ru/forum, vk.com/premiumtehnika or poisk-podbor.ru to build a good online reputation. Also, don’t forget about Yandex’s marketplace market.yandex.ru. The most of linkbuilding takes place on blogs and magazines. Therefore you should remember sites like yepman.ru, blog-stilista.com, vk.com/club1429876 and vk.com/fashion_st when developing the strategy. If you have ever heard of a term ‘social linkbuilding’, here’s the case. Discussions on Facebook and Vkontakte vk.com/secreti_krasoti, vk.com/world.of_health, vk.com/zdorovie_i_krasota is a good opportunity to spread a brand awareness. Forums on egoforum.ru or blondie.ru/forum/24 are also at your disposal. “Think about the words (search queries) you want to promote your site for. Make sure that they reflect your site’s content and purpose. Be honest. You can probably make people find and hit your site for any query, but they will not stay if the site provides no answer to their question. Thorough keyword research matters more than ever. Long gone are practices standing on pushing highly competitive keywords. Focusing on long tail keywords is bringing success, as low-competition keywords can still have decent numbers in search. Q: What are the best tools for a keyword analysis for Russian SEO? Although Google users in Russia represent a minority, Google Adwords still offers plenty of tools for a keyword analysis, including a traffic estimator, adgroup suggestions and keyword list multiplication. It’s still my favorite tool even for planning keywords in Russian. This tool is far more simpler then the above mentioned, but pays off. You can extend its functions with a Firefox plugin. Especially when looking for long-tail keyword variations, this tool is very sophisticated and vast in terms of searches in Russian. This tool’s multilingual search makes it possible to search for a topic in any language and get local results for searches in the target language. Use GT especially when the category you are marketing is trend-sensitive, e.g. world news or lifestyle. Don’t forget to set the correct country targeting – Russia. With this tool, you can explore multiple levels of keywords and related keywords. Works fine with phrases in Russian. Interested in SEO strategies for Russia? Feel free to contact me or leave me a comment! Update 06/24/15: Yandex is reconsidering to add link to their ranking algorithm again. However, this time, link buyers will be penalized. Read more here: IMPORTANT Yandex Link value is BACK + link buyers will be penalized!